The most loved local market website in Western Australia! At least that is what I'd it like to become anyway and to do that I need to find out what I can give, to the people in this industry, and to the people that support this industry. I believe that weekends would be less colourful if there weren't any local markets around. I love local markets for many reasons. I like that they are often setup at a nice field with beautiful lawn to sit on, they often have a variety of special yummy food, their price may be cheaper than the big shops, their products are often handmade and unique, I could meet and have a good chat with the vendors in person, or I could be there just for the live music and a cup of coffee. However, I recognized that it isn't easy to maintain a local market. I have met market that is restricted to open only once a month for only 4 hours, I have met market that could only afford a location that isn't great for customers perspective, I have met market that have to pay rent too high to sustain, and I have met markets that simply couldn't gather enough stallholders. We have local producers that have beautiful products but the local markets accessible to them opens only once a month, we have local producers that have amazing products but also a feeding mother to a new born baby (travelling to multiple markets can be tough), and we have local producers that simply could not afford the high rent at popular local markets. Many local producers are home base, small scale, and small profit and they are restricted to where and when they can put up their stalls. Our Local Markets is born from the love of local markets & local products. I like to improve sustainability of local markets & local produce, and encourage the growth of local markets and increase the number of local producers. I do this by providing services that would help increase business volume to our local markets and local producers. Our Local Markets is an online buying & selling destination for all Western Australia (starting from Perth Metropolitan) local stallholders. I love buying local products from local markets but sometimes, the opening hours of the local markets just not quite enough. Hence, I have created here an all hours local market for our local markets, market stallholders, & markets goers! So we can still support our local stallholders during the physical markets downtime, OR, when we simply could not get to the markets. Our Local Markets is a great place to introduce our local markets and local products to the world. I setup pages of our members with pictures and details of the members. 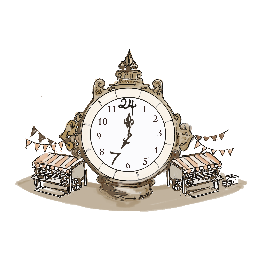 It is a great way for us to find out if where our favourite coffee vendor would be setting up their stalls! Our Local Markets is perfect to highlight any upcoming market special events! There is featured event page where markets can post all their upcoming special events so we have something special to look forward to! Our Local Markets has started organizing local community markets since Spring 2016. Our first market is the Kadidjiny Park Spring Market on the 24/09/2016. In 2017, we will be doing more local community markets as it appears markets is in high demand and the supply is low!! Check out our monthly Kadidjiny Park Markets at Melville WA (behind Melville Primary School) starting 11th of February 2017! If you love local markets as much as I do, help me achieve my goals, and join me in this adventure! ** This is a project that I realised is too big for me to do it on my own. I would love to hear from you if you like to be part of the project (or not)! Call me on +614 7821 9058 or email me on ourlocalmarkets@outlook.com.